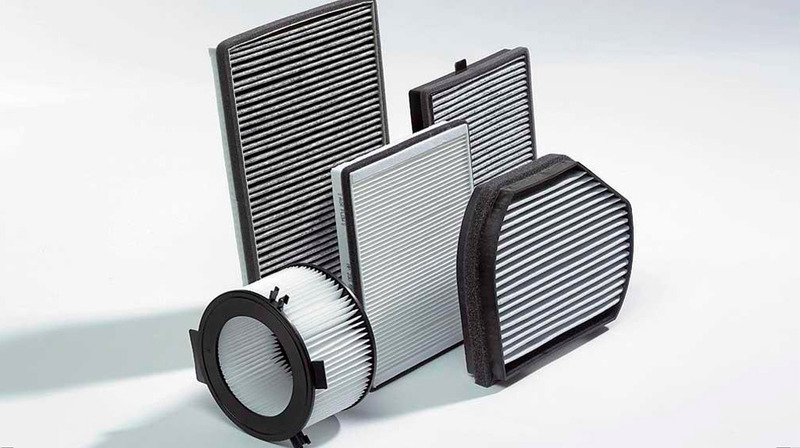 AIKO air filter is a device in the air intake system of the engine that prevents dust, smog, exhaust gases and other particles contained in the air from getting into the engine. The filter elements in the AIKO air filters consist of three layers, and have a coarse ribbed inner layer and a smooth outer layer. Such design enables our filters with the most effective blocking of particles of different size. To prevent possible deformation, the filter elements are specially perforated and evenly laid. AIKO Company also manufactures fully-fabric air filters (FFAF) for cars which use this latest technology. Oil filter is a device necessary for removing the alien particles from motor oil. Thanks to the oil pump, oil flows through one or more filters. 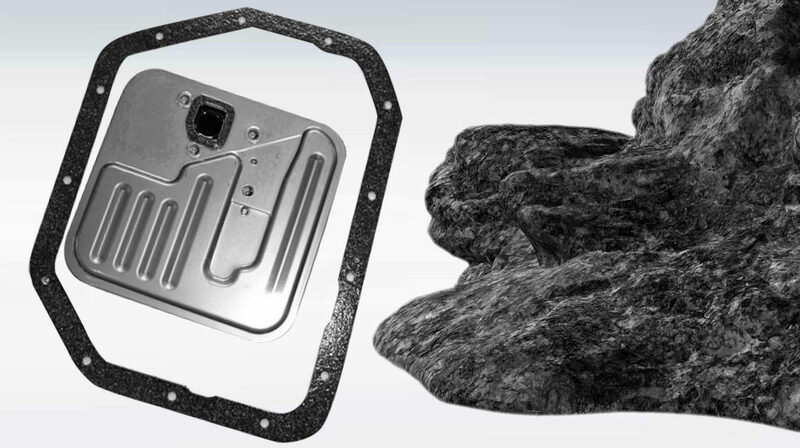 Special filter components block foreign particles, preventing them from entering the engine and protecting it from possible damage. AIKO oil filters possess a cellulose, resin impregnated filter element, the maximum area of ​​which, as well as the optimum porosity of the paper, provide a high mud capacity and the ability to block up to 99% of alien particles; This material is specially designed for the possibility of using modern synthetic oils and oils with prolonged lifetime. AIKO oil filters use gaskets made of heat-resistant, non-sticky acrylic rubber that is resistant to aggressive engine oils and guarantees a 100% fit. All housings for AIKO oil filters are made of galvanized steel, which provides high mechanical, thermal and chemical resistance. 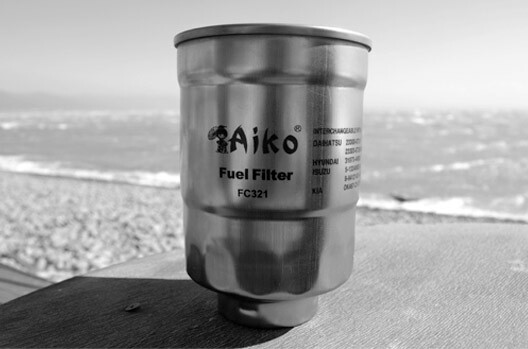 AIKO fuel filters serve to filter and remove dust, rust, dirt particles that are found in metal containers for storing and transporting fuel, as well as paraffin inclusions in fuel and water, formed as a condensate on the walls of fuel tanks, as a result of chemical processes in fuel or water falling into the fuel when refueling. Usually the filter is installed on the fuel line running from the fuel tank. Elements of AIKO fuel filters are made in the shape of honeycombs, which allows them to keep the original working form long enough, besides they consist of a standard paper filtering material combined with polyester and fiberglass, which allows to block the tiniest alien particles without any disturbance of the fuel flow. 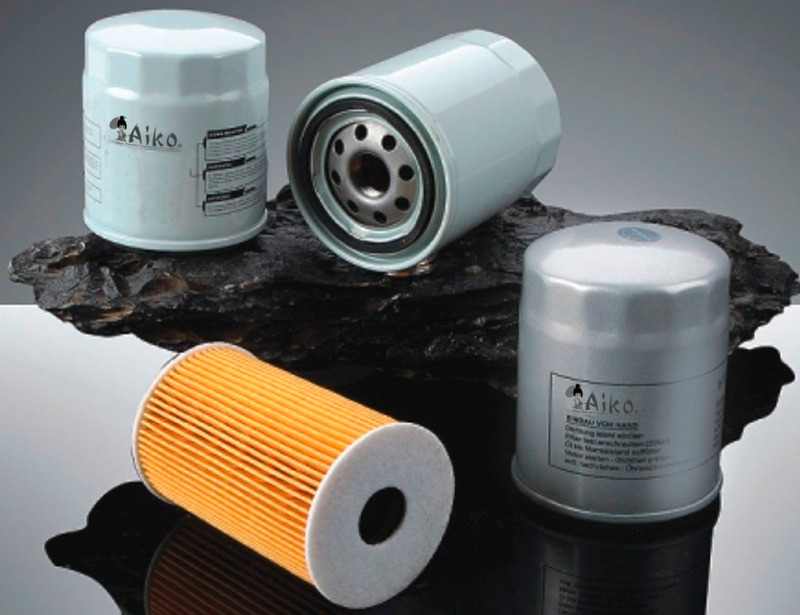 To prevent corrosion, which can lead to engine damage, the internal and external surfaces of the AIKO fuel filters are thoroughly anticorrosive. Transmission filters produced by AIKO Company are used in automatic transmissions, often working in difficult conditions. The reliability of the hydraulic system depends, significantly, on the qualities of the oil and the solidity of each element (pump, servo motor, filling, valves, etc. ), subject to high pressures, friction and other mechanical influences. To guarantee the best operating conditions of the hydraulic system, special AIKO filters purify the transmission oil from the sludge, which is a suspension of small dust particles that are produced by strong friction of the moving elements and from the chemical decomposition of oil, solid dirt, dust and small metal debris that result from work of automatic transmission. 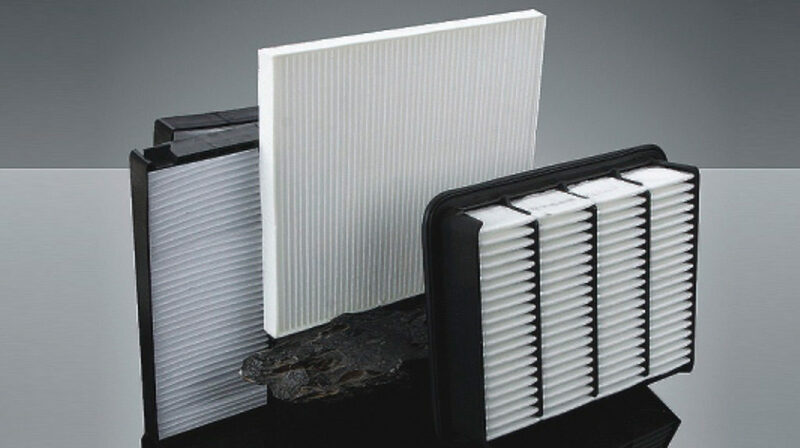 The cabin air filter helps to block pollen, germs, dust and exhaust gases, preventing them from getting into the ventilation system of the car, so that the stay in the cabin becomes more safe and comfortable.